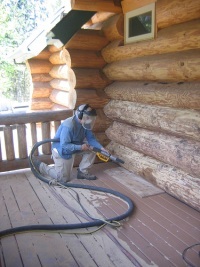 Cabin repair can be a major task if regular log home maintenance has been neglected. This introduction to the causes of cabin deterioration will save you money and show you how to have trouble-free log home living. Some of the main causes for a log home to need repair are storm damage, fire damage, insect damage, failure of the finish (sealant, stain, or varnish), incomplete information on how to maintain your log home or simple neglect. Are you contemplating a cabin restoration or log repair project? It’s important to educate yourself on what may be involved to get a realistic estimate of your time, money and resources. This introduction to cabin restoration will give you a background on the causes of wood decay, as well as remedies for improper building practices that may have led to your log home’s deterioration. Any home requires regular care and attention and log homes have their own unique cabin maintenance requirements. If you build a log cabin or buy one that’s in good shape, you can easily keep it in top shape with regular maintenance, providing, of course, that the cabin design was correct in the first place. Problems arise when log homes are left alone for too long and the inevitable decay sets in. We’ll look into how we can stop the decline, reverse the damage done and complete a cabin repair you can be proud of. Many people think that the primary issue with log homes would be fire, but massive logs and timbers are actually quite difficult to get burning – not that we needn’t be careful with open fireplaces, outdoor kitchens and other sources of ignition. But the real enemy of log homes is not fire, it’s water. If we can keep the logs dry and well-ventilated they will last indefinitely. The best way to do this is with large overhangs on the roof. This gets back to having a proper cabin design to begin with, because this can be very hard to remedy later. Recommended overhangs by ILBA (International Log Builders Association) call for one foot of overhang for every eight feet of log wall height. If you have to replace your roof or open it up for insulation, consider adding longer eave and gable overhangs. In particular, structural insulated panels, or SIPs, are great for the large expanses of a typical cabin roof. Their rigid nature allows you to run them long to provide shade and protection for your logs and they provide excellent insulation and a tight roof shell. Every crack, joint and crevice must be sealed to maintain the air-tight and water-tight integrity of the log cabin and prevent water or bugs from getting into the spaces. It’s much cheaper and easier to prevent the damage than to face an entire log home restoration project simply because the proper building techniques were not followed in the first place. Proper cabin preservation would provide a barrier of protection for the logs themselves with a good log stain, sealant or finish that allows the wood to breathe naturally while resisting water penetration. Cabin repairs can be kept to a minimum by keeping mold and mildew cleaned from your logs using a mixture of bleach, water and TSP. Scrub your logs with this mixture and a soft brush, making sure to thoroughly rinse off and let dry for a day or two. Wash the entire cabin clean of dirt and cobwebs with a pressure washer, being careful to use a pressure setting not greater than 500 psi and use a pressure washer tip of 15° - 20°. For more details on cleaning the cabin see our page on cabin restoration. Carpenter Ants: These are generally found in decayed wood. Carpenter ants build nests but don’t eat the wood. Use an ant spray or powder to control. Borer Bees or Carpenter Bees: These large, dark-colored bees are identified by the remarkably round ½” entry holes found in logs, trim and fascia that look like they were drilled with a power tool. The female carpenter bees have stingers and lay the eggs, while the males swarm the area to protect the females but don’t have stingers. The carpenter bees drill a tunnel at 90 degrees to the entry hole and use the same nest year after year, often lengthening the tunnel each time. It’s not enough to caulk up the hole as they’re simply push right out. You have to kill the bee inside before filling the hole. Termites: Termites eat wood and convert the cellulose or wood fibers into sugar. Since termites eat the wood from the inside out they can be difficult to spot and the first evidence of termites is often the distinctive tunnels found on foundation walls. They are searching for wood to eat and tunnel through the ground and up walls to get there. For a small area you can spray them with Spectracide foaming spray or a termiticide such as Termidor. For a large infestation it’s best to turn to the pros and call in an exterminator before it turns into a major cabin repair bill. Ladybugs or Asian lady beetles: These don’t do any damage but they can be annoying. Ladybugs hibernate inside in the winter where it’s warm; then return outside in the spring. They will come back next year because they leave a trail of pheromones to find their way back. It’s best to not agitate them in the house because they can release a smelly, yellow substance that can stain. The best approach is to vacuum them up -- but first tape a nylon stocking inside your vacuum wand to contain the ladybugs. Don’t just leave them in your vacuum cleaner or they will climb right back out. The best long-term solution is to seal up your log home tightly using log caulk and expandable foam for the crevices and apply an insecticide around windows and doors. Wasps and Hornets: You must locate the nest and treat the entire area; in fact, killing just one within 15 feet of their nest will release a scent that attracts more wasps. Use an organic insecticide to kill them, then remove the nest. Powderpost Beetle: Evidence of these is often a powdery substance and a group of tiny, pin-like, round exit holes. These can re-infest and cause long-term damage. Use an appropriate spray such as Tim-Bor to eliminate. Flat-headed Borer or Longhorned beetle: These can be evidenced by larger round or oval exit holes. They generally do not re-infest so their damage is limited to their holes which can be caulked up. 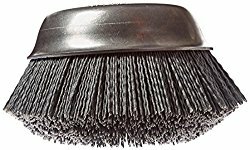 Osborn brushes – Osborn brushes are silicon carbide-impregnated nylon bristles which act as an abrasive. They are buffing brushes, not for sanding but are designed to smooth the surface of the wood without removing the entire top layer. Use them at low RPM on an angle grinder, around 1800 RPM. Spin them too fast and they will wear out quickly. 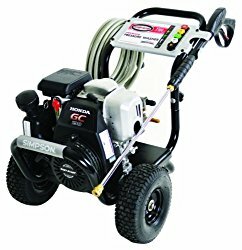 Good for removing mill glaze, removing fuzzing or feathering of the wood after pressure washing, and for smoothing cob-blasted wood surfaces during cabin repair. Wizard metal detectors – These small handheld metal detectors are great for finding embedded bits of steel like old nails, spikes, wire, etc. These are especially good at preserving blades if you’re going to be using a saw or planer. 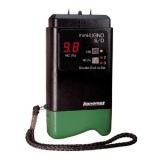 Lignomat moisture meter – These handheld moisture meters are the most accurate and reliable way to determine the moisture content of your logs. The moisture level of logs in log home walls will vary by climate zone, but a typical range is between 10% to 14% moisture content, with a high end of 18%. Moisture content over 18% can cause mold and mildew to grow under log finishes and log coatings can peel or blister. 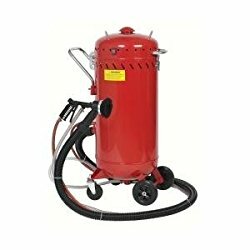 Media Abrasive Blaster - Abrasive blasting with ground corn cobs produces quick results without the risk of damage from using a harsher media such as sand. It's lightweight and biodegradable. This is recommended for large jobs or logs with lots of stain to remove. 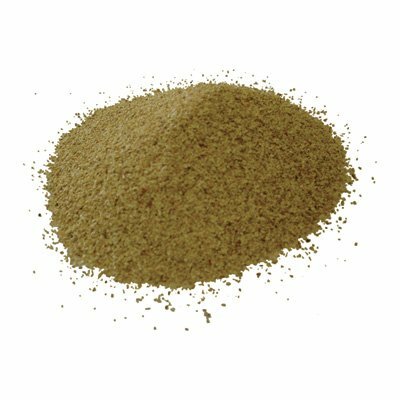 Corn cob blasting media - This is a low-abrasive way to clean your logs without tearing them up. The natural media can be recovered or simply left to decompose and be eaten. Further information on cabin repair can be found on our Cabin Library page, with many books on cabin restoration and log home building. For an in-depth look at cabin restoration and repair, read the National Parks Service Preservation Brief #26: “The Preservation and Repair of Historic Log Buildings” by Bruce D. Bomberger. See definitions and explanations of terms used in cabin rehab in our cabin restoration glossary. 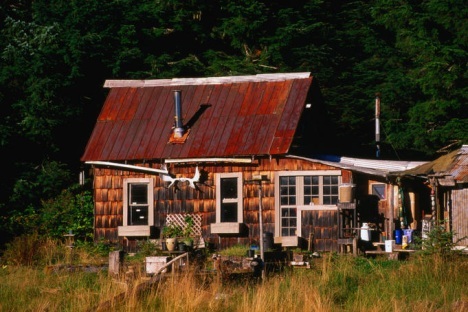 Cabin repair may involve a small project or a complete overhaul and rehab. Once you understand the unique issues and techniques involved, you can adequately plan your approach and budget your resources.